I grew up in a neighborhood with lots of kids, and a good mix of boys and girls. I tended to play more with the boys; their games were just more fun! It was a lot more fun to run around chasing a ball or other kids than it was to sit and make little plastic dolls move around the floor. I guess you could say I was a bit of a tomboy. You could easily say I was not a refined princess. Yet, I am a princess. I am a redeemed daughter of the King of Kings and as such that makes me a princess. If you are saved you are also a prince or princess. This title is not something we should take lightly, it comes with responsibilities. For us princesses there are many things that we need to take into consideration as we conduct ourselves each day. First, is our dress worthy of being called a Heavenly princess? 1 Peter 3:3-4 warns us that we should focus more on inward beauty than jewels and fancy hairdos. In Proverbs we are told that outward beauty is fleeting (Proverbs 31:30). So, as princesses we need to shine from the inside out. Second, is our speech worthy of the crown? A woman that is vulgar is not acting like a princess (Ephesians 4:29). It isn’t just our diction that we have to watch, but the content of our speech. A Heavenly princess is honest and does not gossip. In Proverbs 16:13 we are advised that kings (including THE King) take pleasure in honesty. Proverbs 20:19 warns us to not even associate with those that gossip and slander. A third attribute of God’s princess is her behavior. God’s princess can best be seen in Proverbs 31. She works hard every day to serve those God has put before her. She is wise and frugal, she is caring and thoughtful, and she is prepared for the unexpected. God’s princess is not lazy or ditzy but wise and lives to serve her King by serving others. If you read my book Joyfully After All you will get to journey with me as God shows me just what it means to be His child and be worth of calling myself a princess. You will see that no matter what life throws our way, no matter how dirty we feel because of life’s circumstances, we are still His beloved and we can still claim the crown and the title of Heavenly Princess! 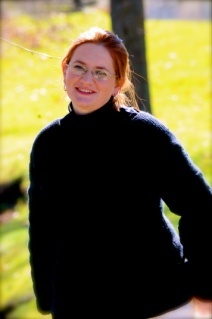 Jessie Lee is the author of Joyfully After All (on sale on amazon.com in paperback and EBook formats). She lives in the Shenandoah Valley of Virginia with her husband and young daughter. When she isn’t busy writing or at a speaking engagement she can be found volunteering with her church, watching football, working in the family garden or playing with her family and friends. To learn more about Jessie lee you can visit www.victoryoverrape.blogspot.com or visit her Facebook page (search Joyfully After All).